Greenburgh, New Castle, Bronxville, Pleasantville, Ardsley, Town of Mamaroneck, Village of Mamaroneck, Rye Brook, Scarsdale, and Tarrytown. 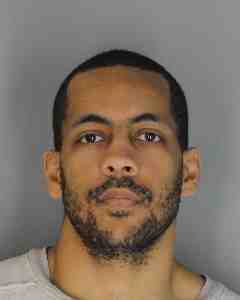 The Westchester County District Attorney Anthony A. Scarpino, Jr. announced that Julian Montgomery of Cortland Manor pleaded guilty to charges related to a string of burglaries in Greenburgh and surrounding areas in August and September 2018. Westchester County Court Judge Michael Martinelli accepted Montgomery’s plea to three counts of Burglary in the Second Degree, class C felonies. During the summer of 2018, a series of burglaries were committed in Ardsley and Edgemont in the Town of Greenburgh and other parts of Westchester. It became apparent to investigators there were similarities in the incidents. The District Attorney’s Office and the Greenburgh Police initiated an investigation in August based on a vehicle observed near multiple crime scenes. By tracking the defendant’s cars, Greenburgh PD followed Montgomery to a residence in New Castle Sept. 18, 2018, and observed the defendant running from the house with a bag of jewelry in his hand. He was arrested near the scene. Further investigation led to the execution of search warrants at the defendant’s residence in Cortland Manor, his vehicles and a rented storage unit. Recovered stolen property was identified by various burglary victims around the county. Greenburgh, New Castle, Bronxville, Pleasantville, Ardsley, Town of Mamaroneck, Village of Mamaroneck, Rye Brook, Scarsdale and Tarrytown. Montgomery was remanded into custody until his scheduled sentencing April 17, 2019.